Coffee Sleeve MoJo | The MoJo is in the Match! Your brand. Your image. Your message. 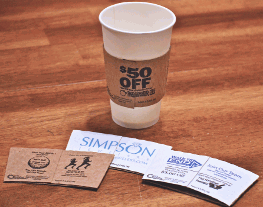 In your customer's hand with a custom printed coffee cup sleeve. 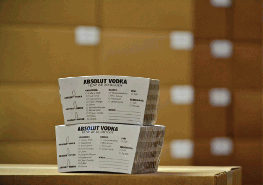 Our standard digital printing allows you to print on demand and order as little as one case at a time. This option offers the highest image control and precision. 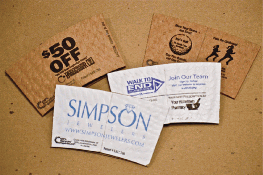 High-volume printing equals a lower per piece price and CSM has custom solutions for you. Sleeve advertising campaigns and partnerships are a great way to connect to your community.